The #1 HVAC services, Sinton Air Conditioning and Heating Inc.
HVAC Services come in all flavors and sizes. Whether you need your heating system maintained, your air conditioning unit repaired or you hot water heater replaced, you most likely will at some point require HVAC services for your home. When it comes to keeping your home at a comfortable temperature and the water flowing freely, there are a lot of systems working together in your home to ensure that happens. These systems run constantly and can take a beating on a daily basis. Every system will require regular maintenance to keep it running as efficiently as possible. At Sinton Air it is our goal to ensure all the HVAC systems in your home are regularly serviced and maintained to keep them running smoothly for you. If your system is beyond the point of being helped with regular maintenance we will analyze your problems and perform the proper repairs to get your HVAC system up and running again. Older systems can only be helped with so many repairs and maintenance procedures. Sometimes it is best to have a completely new and efficient installation performed for the health and safety of your family. SintonAir is well experienced in installing new HVAC systems and can guide you on the best system for your home or business. Keeping your home warm and cozy is essential for every home owner. You have many choices when it comes to heating your home. Your neighbors in Pennsylvania use a variety of heating systems in their homes and businesses. One of the most common heating system used is the forced air heating system. A forced air heating system can be powered by a variety of fuel types including oil, propane, gas or electric. A centralized furnace forces heated air throughout the home using fans. These heating units have a typical life-span of 15-20 years before needing replacing. The life of the heating system can be extended with regular maintenance and repairs. 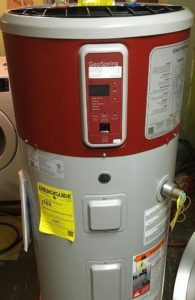 Another common heating system see in PA is a boiler system. A boiler system heats water beforehand and then distributes it throughout the home to provide heat. Boilers are versatile in that they can use electric, propane, oil or gas to provide the power needed to heat the home. Not as common as they used to be, steam radiators are still found in older homes throughout Pennsylvania. A steam radiator also uses a boiler system but instead of distrusting hot water throughout the home, they produce steam which is then distributed in the home to heat it. They can be a safety issue for families with small children. Each heating system has its own maintenance and repair requirements to keep it running efficiently. SintonAir is experienced in all types of heating systems and can maintain, repair or replace any heating system in your home or business. Keeping your home cool in the summer is no longer a luxury but a requirement for most home owners. Being hot, sweaty and uncomfortable in the summer heat is not only no fun but can cause family member to become irritable and tempers to flare. Having an efficient air conditioning unit is essential to have a fun and pleasant summer. The central air conditioning unit is the most common air conditioning system used in homes and businesses. They are efficient and cost effective. You central AC unit should last you around 10-15 years before needing to be replaced. With regular maintenance and repairs you may be able to extend the life of your AC unit a bit longer. Ductless air conditioning is a popular alternative for people to cool their homes with. They are convenient in that they don’t require the home owner to already have duct work in place or have to install new duct work. SintonAir is experienced and knowledgeable in both types of air conditioning systems. We can maintain, repair and install your air conditioning system for you to ensure you are never left overheated on a sweltering hot summer day. Having a ready supply of hot water for laundry, showering and washing dishes is a must for every home owner. How each home produces hot water can vary greatly from home to home. 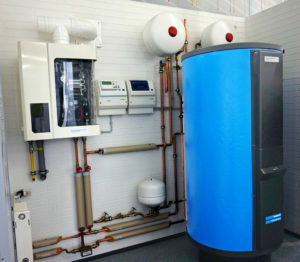 The system boiler is popular for homes where space is in limited supply since they only require one tank for producing hot water. They are efficient in maintaining a strong water pressure supply. Open vent boilers take up more floor space that system boilers do since they require two tanks. One tank is used for cold water while the other tank is used for hot water. The open vent boiler works well for homes where there will be many people using water at the same time. Taking up less space are combination boilers. They only heat water when it is needed and don’t require a large tank. They are a favorite alternative for apartments and homes with limited space. No matter what type of water heating system you are using, Sinton Air can maintain, repair or replace your hot water system. Keeping your home functional at all times is our main goal when it comes to producing the hot water you need for your family. As you can see, it takes a lot to keep your home running smoothly and efficiently. Sinton Air has years of experience and well trained technicians to ensure all the systems in your home are always running at peak performance to provide you with a warm and cozy home in the winter, a comfortably cool home in the summer, and hot water whenever you need it. Call Sinton Air for all your HVAC services needs. Air Conditioning services with same-day service. Sinton Air Conditioning services experts have the experience and training to complete your project with the professionalism and craftsmanship it deserves. Chester County Pennsylvania homeowner and business owner should always have a properly functioning air conditioner installed in his or her property. Whether you’re remodeling, building a new home or simply replacing your existing heating system, you can depend on us for reliable, efficient heating solutions that will last for years to come. Your new heating system will help you comfortably ride out the harshest winter, save your hard earned cash and increase the resale value of your home. We are #1 Heating services provider in your area. The Leader of Heating Services, Installations & Repair Contractors in West Chester and all of Chester County. Call Sinton Air for all your Heating, Heat pump, Boiler, Furnace Maintenance, Repair, and installations. Your own backyard has the potential to be your source of heating and cooling comfort. Now you can get safe, reliable, energy efficient heating and cooling from one piece of equipment. Geothermal energy represents the leading edge of heating and cooling technology. It moves heat energy to and from the earth to heat and cool your indoor environment. And compared to ordinary systems, geo-thermal technology can save you 30% to 70% on your monthly energy bills. Geothermal is the safest, cleanest, most reliable space conditioning system you can buy. Geo-thermal energy is an unlimited resource. The lot surrounding a suburban home or other building contains a vast reservoir of low temperature thermal energy, typically 10 times that required over an entire heating season. This resource is constantly resupplied by the sun, the surrounding earth, and heat rejected while cooling during the summer. The universal definition of geothermal is “…pertaining to the heat of the earth.” By using the earth to provide 100% of a building’s total heating and cooling needs, GHP systems are truly geothermal energy made practical.